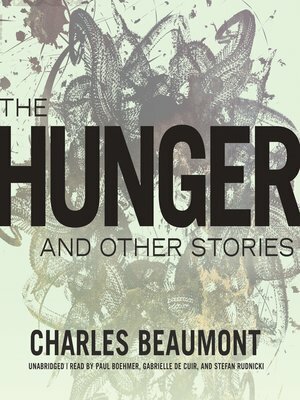 When The Hunger and Other Stories first appeared in 1957, it heralded the arrival of Charles Beaumont as an important and highly original new voice in American fiction. Although he is best known today for his scripts for television and film, including several classic episodes of The Twilight Zone, Beaumont is being rediscovered as a master of weird tales, and this, his first published collection, contains some of his best. Ranging in tone from the chilling gothic horror of "Miss Gentilbelle," where an insane mother dresses her son up as a girl and slaughters his pets, to deliciously dark humor in tales like "Open House" and "The Infernal Bouillabaisse," where murderers' plans go disastrously awry, these seventeen stories demonstrate Beaumont's remarkable talent and versatility.